After a couple of months of no posts about Minecraft 101, lets get back into it with paulsoarsjr and How to Survive and Thrive in Minecraft! In this episode, we find a jungle biome and dicsuss the flora and fauna found therein! We also hunt down an elusive Ocelot (jungle cat), tame it, and take it home for a pet! paulsoaresjr goes back to the nether in his How to Survive and Thrive in Minecraft! In this episode, we return to the Nether to build a Nether Wart farm! Minecraft 101: Ep40 – Potions! paulsoaresjr teaches us about basic potions in his How to Survive and Thrive in Minecraft! In this episode, we craft a Brewing Stand and mix up some basic potions! paulsoaresjr brings us the basices of enchanting in his How to Survive and Thrive in Minecraft! In this episode, we craft an Enchantment Table and discuss the basics of enchanting weapons, armor, and tools! paulsoaresjr brings basic enchanting in How to Survive and Thrive in Minecraft! In this episode, we craft an Enchantment Table and discuss the basics of enchanting weapons, armor, and tools! paulsoaresjr keeps work on his tower of power in How to Survive and Thrive in Minecraft! In this episode, we continue building the Tower of Power by adding floors, windows, balconies, a roof and fiery battlements! paulsoaresjr gets back to work on the Tower of Power with his materials from the nether in How to Survive and Thrive in Minecraft! In this episode, we finally start building our Tower of Power using the Nether Brick we brought back from the Nether! In Part 1 we lay the basic framework, leaving gaps for windows and doors. paulsoaresjr continues exploring the nether in How to Survive and Thrive in Minecraft! In this episode, we explore the Nether Fortress, meet the inhabitants (Blazes and Magma Cubes), and kill them for their stuff! We also collect Nether Brick for our Tower of Power. Minecraft 101: Ep35 – Continuing the Tower of Power! paulsoaresjr continues his Tower of Power build in How to Survive and Thrive in Minecraft! In this episode, we build a portal the Nether realm! Once there, we discuss some of the local flora and fauna but our primary goal is to find Nether Brick to use in the construction of our Tower of Power! paulsoaresjr starts on a new tower project in How to Survive and Thrive in Minecraft! In this episode, we begin construction of a Tower of Power, where we shall soon dabble in the arcane arts of Enchanting and Potion Brewing! In this session, we choose a location and build a spiral staircase to the second and third floors of the tower. 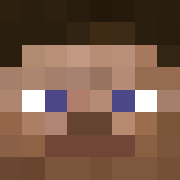 paulsoaresjr shows you how to do branch mining in How to Survive and Thrive in Minecraft! In this episode, we do some "branch mining" which is a simple but efficient method of finding lots of precious gems (lapis, redstone, diamonds) and metals (iron and gold)! Minecraft101: Ep32 – Mushrooms and more! paulsoaresjr brings us another How to Survive and Thrive in Minecraft! In this episode, we quest for the forgotten Mushroom and restore some of its former glory! We'll use mushrooms to make Mushroom Stew, a Portable Emergency Shelter, and a Smurfy village! paulsoaresjr shows us how to make colored wool ing his How to Survive and Thrive in Minecraft! In this episode, we make 15 colored dyes and use them to dye wool blocks and sheep! paulsoaresjr improves the looks of hise house on How to Survive and Thrive in Minecraft! In this episode, we do a bit of exterior design near cozy cottage. We build a checkerboard front patio and a connecting wharf alongside the lagoon. paulsoaresjr brings us another How to Survive and Thrive in Minecraft! In this episode, we delve deep underground to find and harvest gold and diamond! We also stumble upon obsidian and collect it with our new diamond pick! paulsoaresjr continues to explore the abandoned mine in How to Survive and Thrive in Minecraft! In this episode, we exterminate the pesky cave spiders in the old mine by destroying their spawner! Then we take their treasure, collect some more resources, and "swim" up and out of the ravine! paulsoaresjr ventures into an Abandoned minshaft in this episode of How to Survive and Thrive in Minecraft! In this episode, we climb down into a ravine and find an old abandoned mine shaft. We explore the mines while salvaging resources such as wood planks, fence, ore, and mine cart rail! paulsoaresjr brings us another How to Survive and Thrive in Minecraft! In this episode, we secure our "rental unit" at the NPC village with a powered iron door. We craft an iron door, a stone button, and pressure plates. We then boat down a river to find a Ravine! paulsoaresjr brings us another How to Survive and Thrive in Minecraft! In this episode, we craft a boat and go exploring via water passage. We find an ocean, a desert, cactus, and a village with silent, robed inhabitants. paulsoaresjr finishes up his home defense tutorial in How to Survive and Thrive in Minecraft! In this episode, we improve our home security system by adding murder holes and tunnels.